The story of Wolfgang Amadeus Mozart as written and directed by James Kent, and Ursula Macfarlane. This documentary aired as a television series. The stars of this film were Ed Pearce, Andrew Price, and Jack Tarlton. Born January 27th, 1756, died December 5th, 1791. 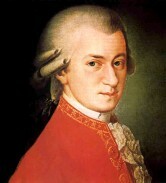 He was one of the most influential musical composers of his time. Wolfgang’s imagination was stimulated by him meeting a lot of the great musical minds of his day during his stint as a traveling child prodigy. Some say his musical was composed in such a way you’d think he had supernatural powers. He was also a Freemason, and spoke many languages.